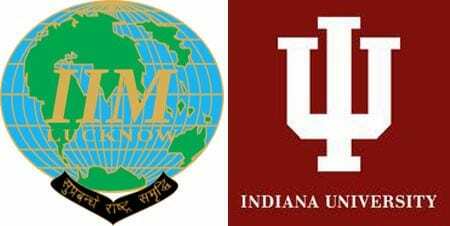 IIM Lucknow and KSB Indiana University USA have jointly launched CPBAE programme. This one year Certificate Programme in Business Analytics for Executives (CPBAE) will provide cutting edge analytics knowledge. The CPBAE programme will be delivered through an ideal mix of online and classroom mode at IIML campus. The certificate programme will combine business strategy, business analytical tools and applications of analytics in selected business areas, namely finance, marketing and operations. The purpose of this programme is to develop skills and a mindset for participants that will allow executives to identify and seize business opportunities using business analytics tools. The programme will have both in-residence and online learning channels, so that students need not take long breaks from their work but at the same time get benefits of continuous learning environment. Another unique feature of the programme is training on enterprise miner. The programme consisting of 240 hours is divided into four modules, each module of 9 to 10 weeks duration. Each module would have five days of mandatory on campus residency requirement and rest will be delivered over internet. Online classes will be held for two hours twice per week on Fridays and Saturdays. The minimum eligibility for this course is Bachelor’s degree in any discipline with a minimum of 60% marks and three year work experience after graduation. Preference will be given to the students with PG/ graduation in mathematics, engineering, economics, management and statistics. The candidates can download their application form from IIM Lucknow website and submit the completely filled form along with a draft of Rs, 1000 drawn in favor of ‘IIM Lucknow’ payable at Lucknow.